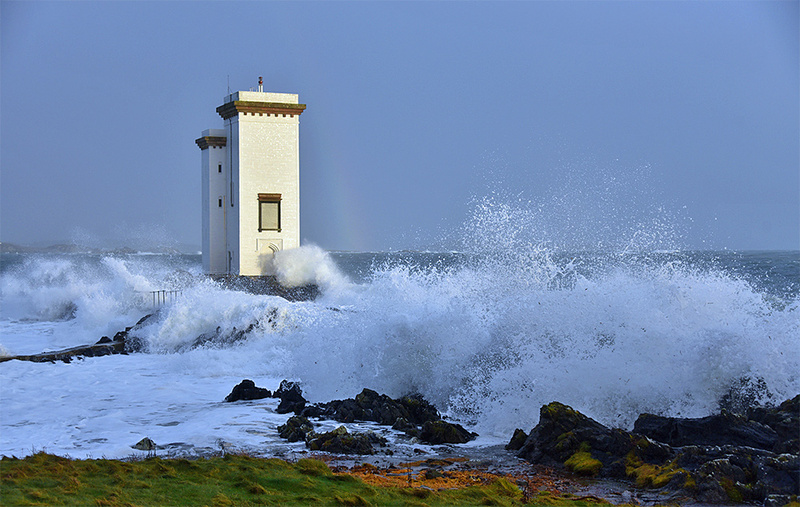 This entry was posted in Cloudy Weather, Landscape, Lighthouses, New Post, Sunny Weather and tagged Carraig Fhada, Islay, Port Ellen, rainbow by Armin Grewe. Bookmark the permalink. More waves in my hair ! Actually, it did. Kind of. After the morning ferry all ferries were cancelled on that day (I took this picture in the afternoon). But then again, the reason they were cancelled was the wind, not the waves. Ah, now the wind is different, our last flight in during November was, erm ‘interesting’ !